I understand the financial requirements of $658,875 - $1,133,502 for this franchise opportunity, and I would like to have someone contact me with more information. East Coast Wings started in 1995 when a small, individual wing restaurant concept in Winston-Salem, NC was opened. In 2001, two restaurant entrepreneurs with over 40 years of combined restaurant experience bought this individually owned store, then reworked and expanded upon the original East Coast Wings concept and menu to introduce a new and improved Buffalo-style restaurant that is known today as East Coast Wings & Grill. These two entrepreneurs set out to change the stereotype of the traditional Buffalo-style wing restaurants in America that typically do not place importance on food and family atmosphere as much as beer sales and the bar scene. 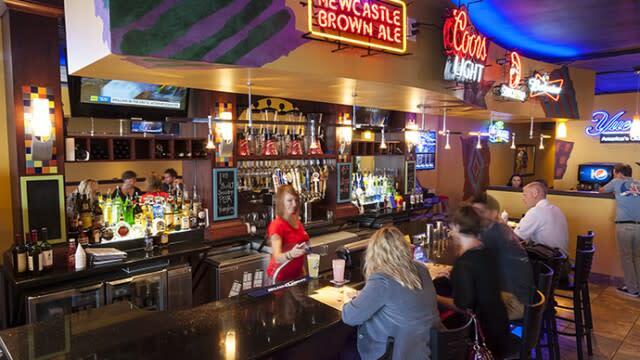 They created a warm and inviting décor and evolved East Coast Wings into a causal, full-service dining experience. By 2003, by popular demand, they began building the foundation of the East Coast Wings franchise system. In 2007, to ensure that we stand out as not only ‘America’s Best Wings’, but to also include the wide variety of fresh items offered on the menu in addition to wings, including chicken, beef and shrimp, which all allow customers to experience our unique flavor and heat combinations. Great restaurants are never satisfied with the status quo. That’s why we are constantly innovating, testing new menu items, and adding exciting new flavors to tickle our customers’ taste buds. In 2016, we revamped the food and drink menus with a new focus on craft style beer, offering more than 65 options from local, regional and national breweries. Customers are finding East Coast Wings & Grill food to be irresistible, and are making multiple monthly visits. We’ve enjoyed 12 years of sane store sales growth, and are continuously receiving accolades for our famous wings. At East Coast Wings & Grill, we believe in quality of growth over the quantity of growth. We believe that this strategy is best implemented by growing with partners that share our philosophy and core values. It is for these reasons that we are particular about awarding territories for development. 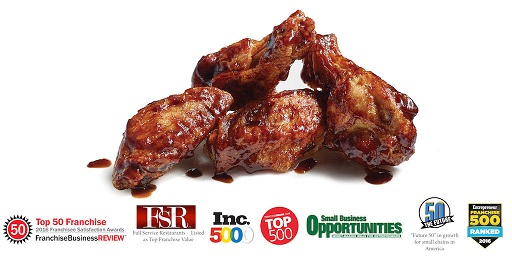 East Cost Wings & Grill has been recognized for franchising excellence by the likes of Entrepreneur, Inc., Franchise Business Review, and others! Why East Coast Wings & Grill? East Coast Wings & Grill gives franchisees the opportunity to be a part of growth and strategic expansion, while having the support and guidance of a franchise system in place already to give continued corporate support and the benefit of brand recognition through use of our trademarks, logos, proprietary information and recipes. Our Area Development model offers the franchisee the option to purchase license rights for multiple locations at one time, under an Area Development Agreement for an exclusive, mutually agreed-upon territory. *NOTE: East Coast Wings & Grill is currently NOT franchising in CA, HI, ND, SD, or WA.